Good morning. I hope you had a great week. I celebrated my birthday last week by taking the day off from work and relaxing. It was great. Part of my day was spent in my big, comfy chair reading my book. I didn't get a lot written last week, but I did make some progress in my reading. 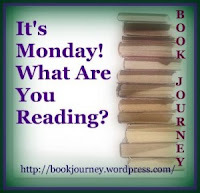 I reviewed The Trouble with Chickens by Doreen Cronin. It's a cute middle grade fiction book that my son enjoyed a lot more than I did! 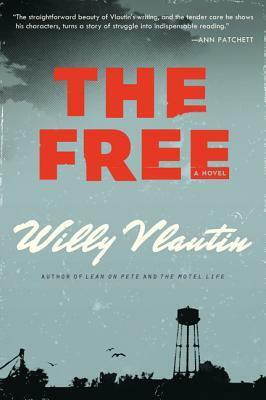 I finished reading The Free by Willy Vlautin, which I will be reviewing later this week for the book tour. I also started my book club's February selection: The End of Your Life Book Club by Will Schwalbe. My son, C, has been re-reading all of his Diary of Wimpy Kid books by Jeff Kinney. M has been reading some of her Rainbow Magic books by Daisy Meadows. A day off for your birthday sounds wonderful! One of my goals each year is to take a day off each month just for me...but it rarely happens! I really want to read The End of Your Life Book Club - hope you like it. I am having a tough time to find time for reading now that the Olympics are on every night but I'm hoping to get into The End of Your Life Book Club more very soon!! Thanks for stopping by. Hi there Julie. My own 12 year old girl loves re-reading the Wimpy Kid series. One of her absolute favourites. Have fun on your birthday! Have a great reading week. It's funny how popular those books are! Thanks for stopping by!